I found a treasure trove of beautiful Merlet pointe shoes today. The reason I call them treasures is because I found them unexpectedly while I was searching for something else. These particular pointe shoe models are not the ones that can be found on the Merlet U.S.A. website. 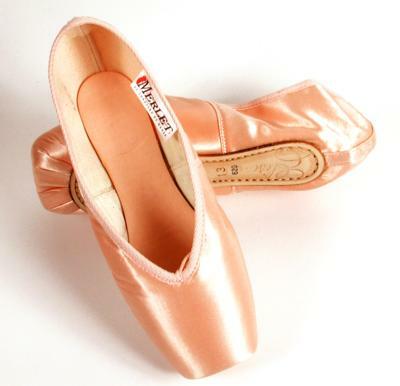 Other than the Kaliste model, the pointe shoes sold in the U.S. are sold as Merlet-Pietra models. I will go into more detail about the Merlet-Pietra models in my next post. 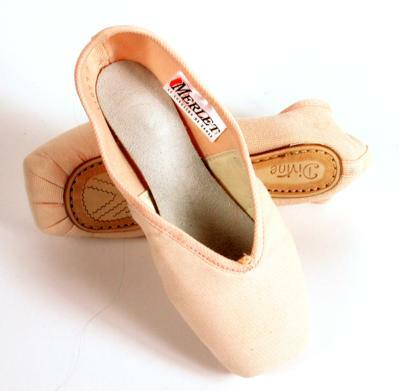 Merlet created the Melissa model for beginners. The shoes are soft for flexibility and easy demi-pointe. They mold quickly to the foot and are available in 3 different shank strengths. 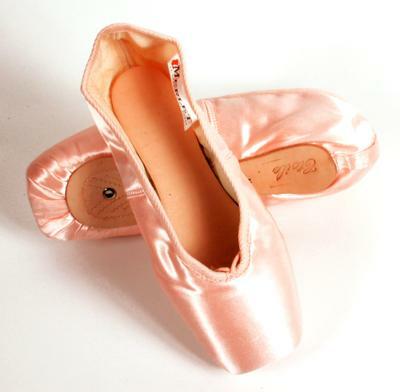 The Kaliste is a very unique model as far as pointe shoe design is concerned. Dancers can order this model entirely of canvas, or order a satin/canvas combination. The last half of the Kaliste is constructed with elasticized canvas which clings to the heel for a more secure fit. The satin/ canvas combination has satin material in the front portion of the shoe from the side seam up through the toe box. The back portion from the side seam to the heel is stretch canvas. The Kaliste is available in narrow to wide widths and comes with 3 different shank strengths. The Kaliste is suitable for beginners to advanced dancers. The Etude model is designed with a cushioned liner that provides exceptional comfort. The boxes are tapered and the shoes come with *polycarbonate shanks. The Etude model is available in narrow, medium, and wide widths. This pointe shoe is suitable for beginners. The Etoile is for professional or advanced dancers. The hard shanks and sole are made with *polycarbonate materials for superior strength and flexibility. 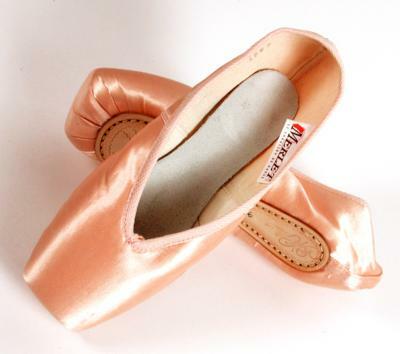 The Etoile model has a lower vamp for easier demi-pointe. Shanks are available in 6 different strengths from supple to hard. The Elissa is another model for advanced dancers that has a unique 3/4 *polycarbonate shank for flexibility through demi-pointe. Merlet of France has created these models with what they describe as “thermoform” technology. 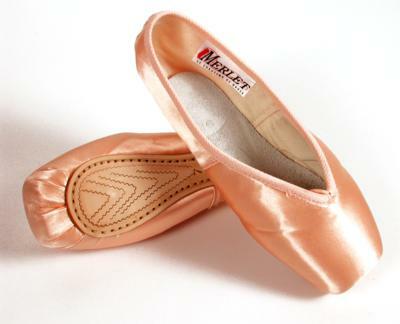 This allows for easy molding to the dancers foot shape making the Merlet pointe shoe comfortable and easy to break in. It will take a little more research on my part to find how a U.S. based customer might be able to order one of these beautiful pointe shoe models. This entry was posted in French Brands, Pointe Shoe Brands and tagged French pointe shoes, Merlet Elisa, Merlet Etoile, Merlet Etude, Merlet Kaliste, Merlet Melissa, Merlet pointe shoes, Pointe Shoe Brands, Pointe Shoe Images, pointe shoes made in France. Bookmark the permalink.